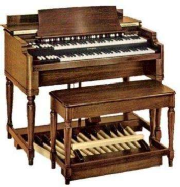 You are never too old or young to learn how to play the electronic keyboard or piano. However there are many cheap nasty methods on the market that may teach you to a certain extent, but leave you reliant on their own ‘trick’ music that is only available from them. In order to learn properly, you need to learn conventional music notation and the old ‘tried and tested’ scales, arpeggios and 5 finger exercises- there is no other way! But it can be easy and fun! 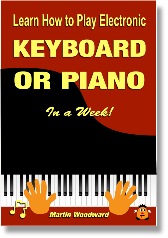 ‘Learn How to Play Electronic Keyboard or Piano in a Week!’ shows the easiest and fastest way to learn piano / keyboard finger dexterity and genuine music notation correctly - but in a fun way! Suitable for absolute beginners- advanced, this book is also geared towards all styles of music and applicable to both piano and electronic keyboards. Available as a (printable) eBook – instantly downloadable or as a coil bound paperback, conveniently designed to lay flat on your music rack. 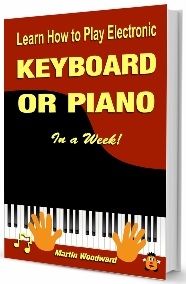 Free piano / keyboard music notation and recording software. Kindle - iPad - Kobo and Nook versions also available. The link for the sound files for this book is HERE. Learning the piano or keyboard will enrich your life more than you could possibly imagine! Do it NOW!